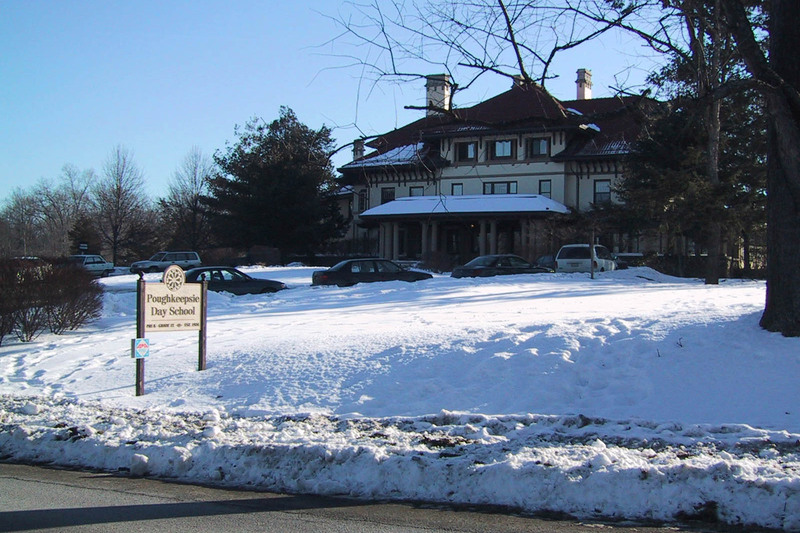 Poughkeepsie Day School (PDS), a private K-12 school in New York State’s mid-Hudson Valley region has grown from 150 students to 350 during the past five years, by acquiring two former IBM buildings. The school’s masterplan, building renovations and newly dedicated 300 seat theater have been designed by WSDG during this period. 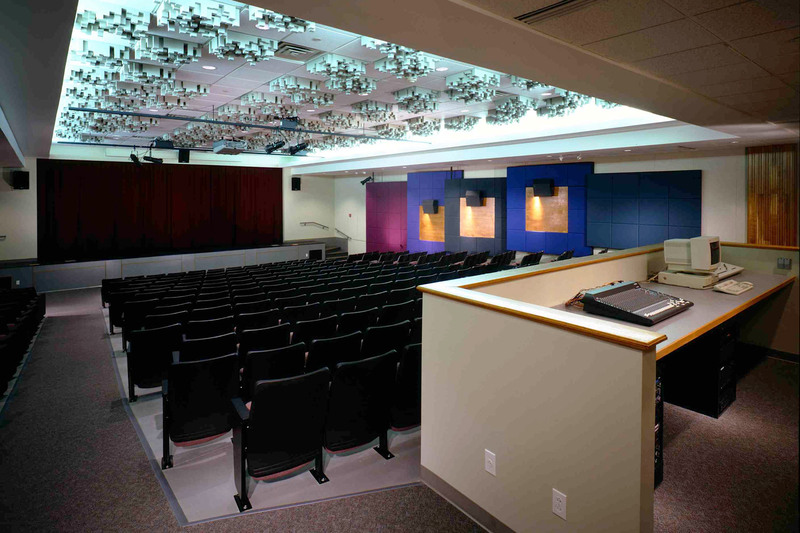 The school’s main activity building (Gilkenson Center) now includes a full gymnasium facility, lower and middle school classrooms, library, multi-purpose assembly and dining spaces, and the James Earl Jones Theater, including a 300 seat auditorium, stage and back-stage, dressing rooms, etc. Total building area for the Center is 79,000 s.f. and along with the school’s sister building, Kenyon House, completes the 37 acre school campus. 300 student capacity. This corresponds to maximum size performances for theatrical and lower-middle school events. 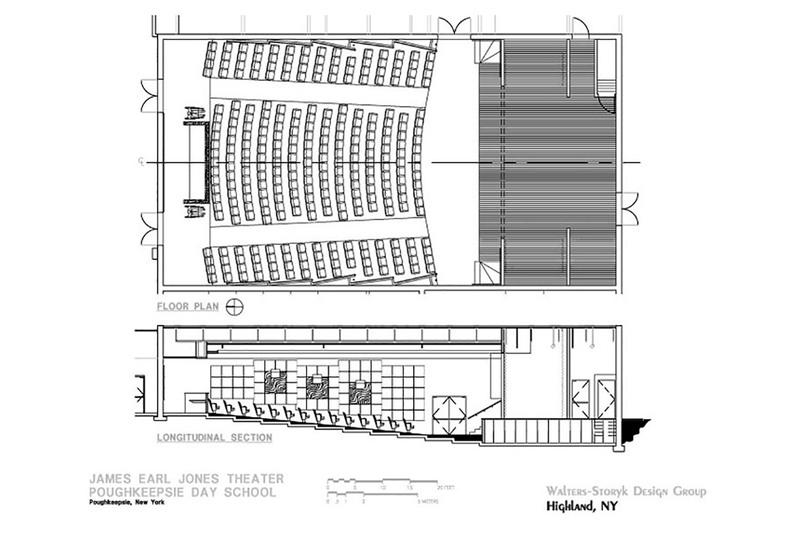 The theater floor and egress system was re-configured to be fully raked. New stage and back stage area. Annex wing adjacent to theater provides dressing rooms as well as additional classroom and rehearsal spaces. 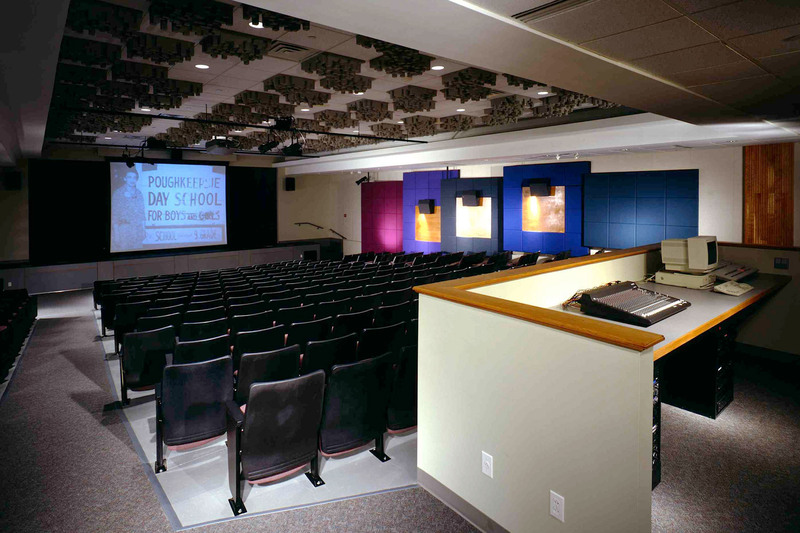 The acoustic challenge for this space is to create an environment that works for acoustic (non-reinforced) performances as well as amplified music / digital video with full 5.1 surround playback. 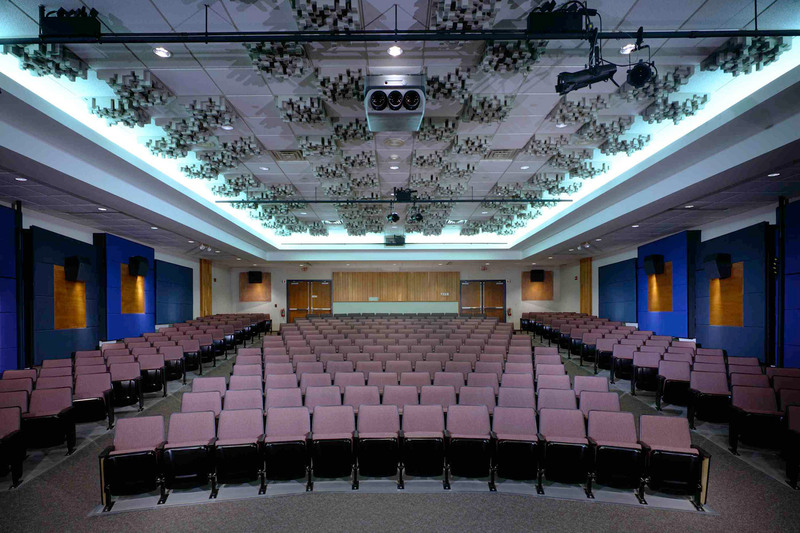 This is accomplished with the use of above ceiling low frequency absorption membranes as well as 80 geometrically placed 2′ x 2′ pre-fabricated mid-frequency diffuser units (manufactured by RPG Systems). These units serve as a most economic solution for the room’s acoustic conversion – allowing the use of the room’s existing ceiling grid ceiling. It also provides an attractive architectural detail for the theater.